Does your bathroom look like it could use a style upgrade? Is your shower outdated? Do your tub, sink, and toilet all match in old-fashioned pink or mint? Bathroom renovations can be exciting, yet overwhelming. Whether you’re looking to renovate a guest bathroom or a master bathroom, you can get inspirational ideas from magazines, TV, social media, and websites. According to the National Kitchen and Bathroom Association, “If you’re considering remodeling a bathroom, the first step you should take is making sure you have a complete understanding of the process. Many homeowners assume that because the bathroom is usually one of the smallest rooms in the house, redesigning it should be a fairly quick and easy process. 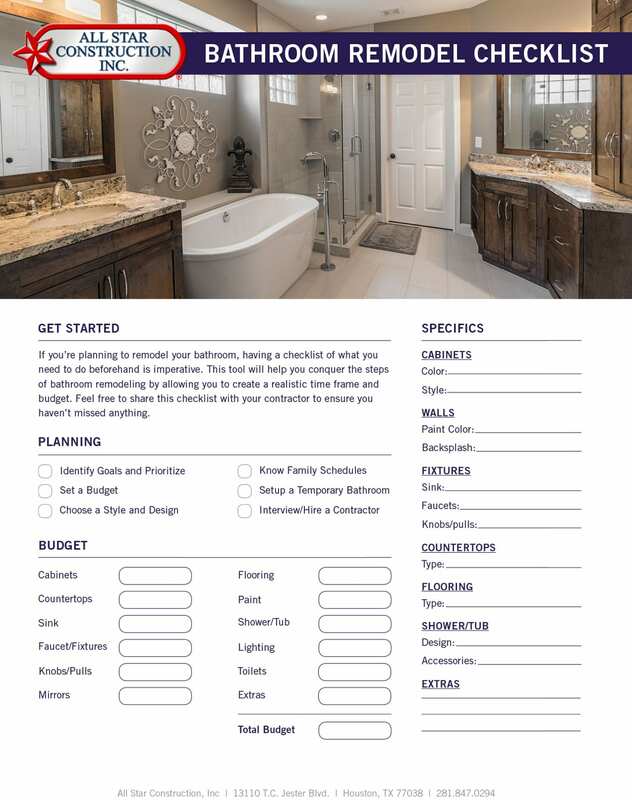 Not so.” Having a bathroom remodel checklist will help solidify what you need to do, who’s going to do it, when you can schedule it, how long it will take to complete, and how much money will be involved in the project. With the right design/build contractor such as All Star Construction Inc., you can create your dream bathroom! Create a plan. Be sure to take time to plan and be flexible with your timeline. The planning stage is one of the most important phases of your bathroom remodeling project. If your kitchen looks like it’s from the era of Roseanne or One Day at a Time, it just might be time to upgrade. Out of all of the rooms in your home, the kitchen may be the one that requires the most length of time to complete. According to the National Kitchen and Bath Association, “Building or renovating a kitchen is one of the most important investments you will make in your home. 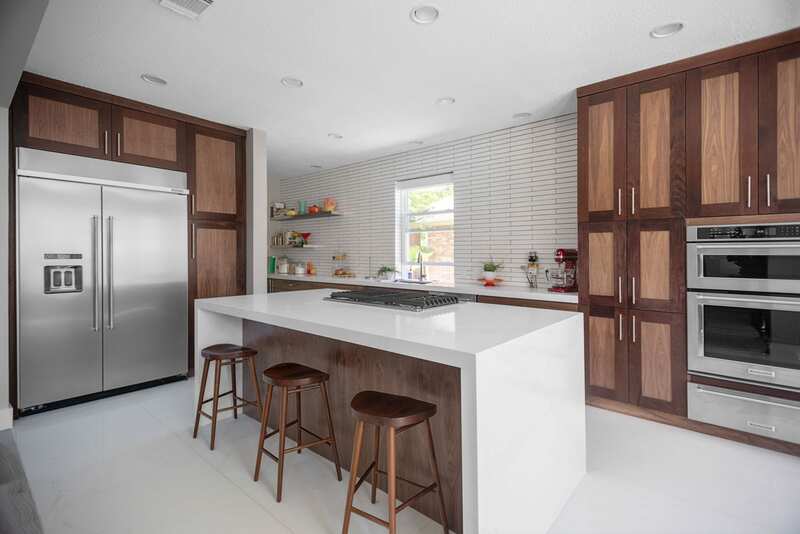 Not only does it involve careful planning, but also extensive research and building knowledge.” With the time and money invested, you want to ensure that the end result will be your dream kitchen. 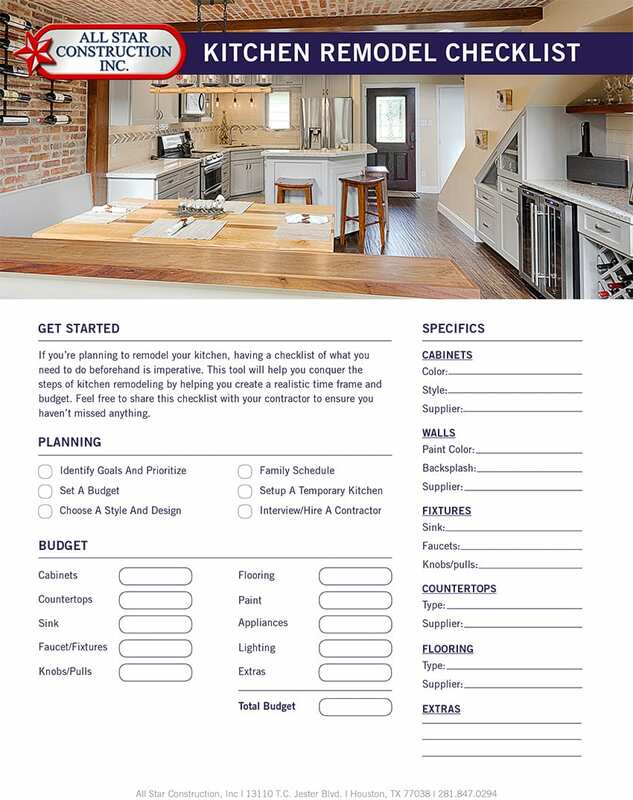 Having a kitchen remodel checklist will help to solidify what you need to do, who’s going to do it, when can you schedule it and how long will it take to be done, and how much money will be involved in the project. Kitchen remodeling offers one of the highest returns on investment, so you need to be sure to you get what you pay for. 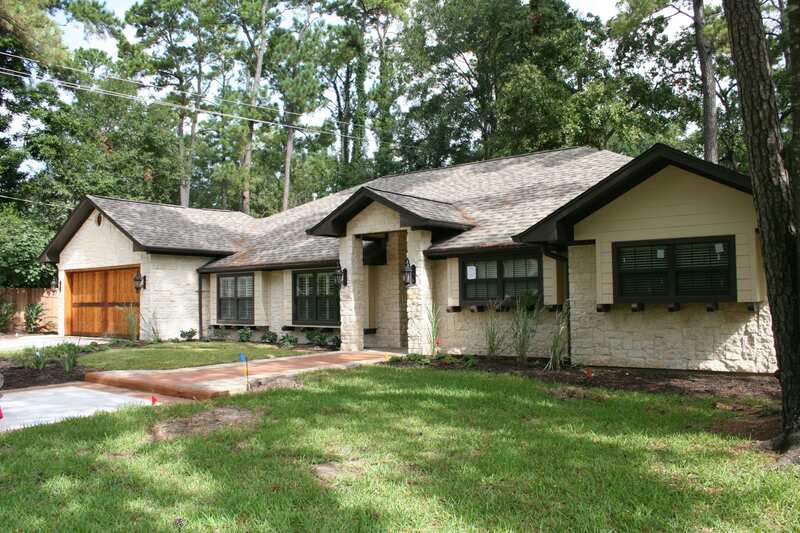 During the preliminary part of the project, it is crucial to consult professionals. However, before your consultation, you need to know the right questions to ask. Create a plan. Be sure to take the time to plan. 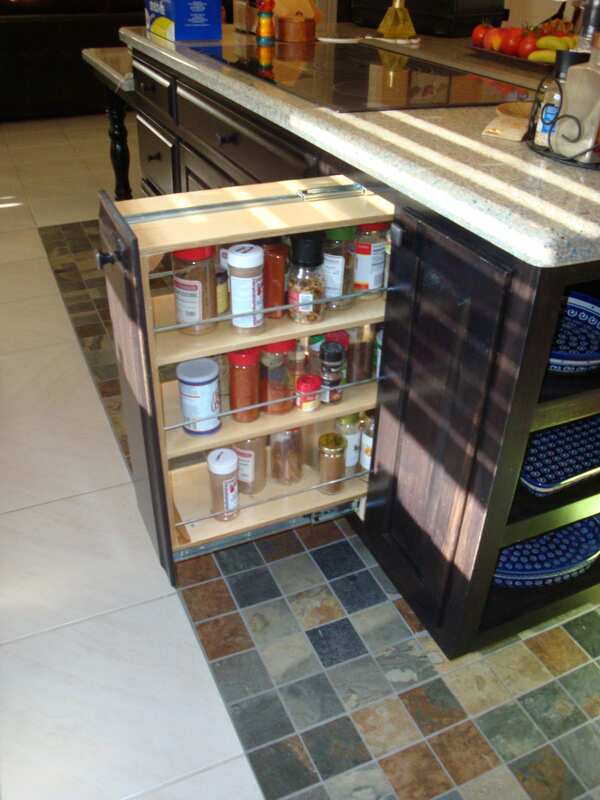 The planning stage is one of the most important phases of your kitchen remodeling project. Do you need more space in your home? Building a room addition is one of the most effective ways to give you more space, while increasing the value of your home. Room addition projects can be complex, requiring research, planning, and creativity. According to houzz.com, “Sometimes a small addition can yield big results, particularly in kitchens. Adding just 3 or 4 feet to a cramped kitchen can open up a world of possibilities for appliances and additional cabinetry.” If you’re not sure where to start your research, you can get inspirational ideas from magazines, TV, websites, social media, and even friends and family. 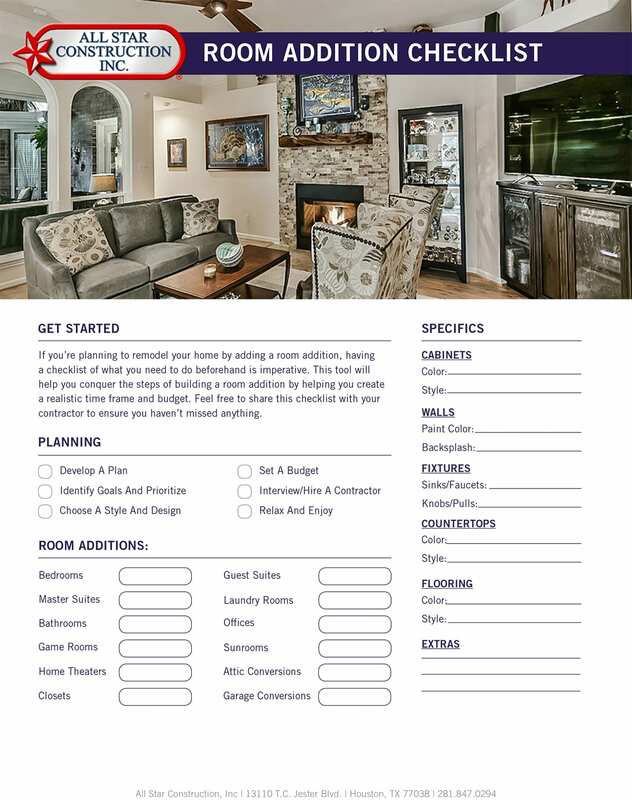 Having a room addition checklist will help solidify what you need to do, who’s going to do it, when you can schedule it, how long it will take to complete, and how much money will be involved in the project. 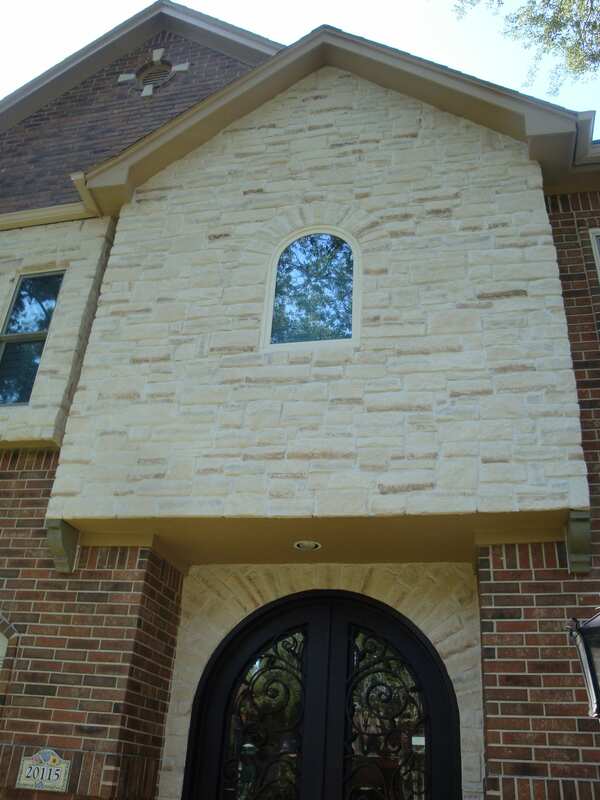 With the right design/build contractor such as All Star Construction Inc., you can create the perfect room addition! Is your New Year’s resolution to spend more time with friends and family? 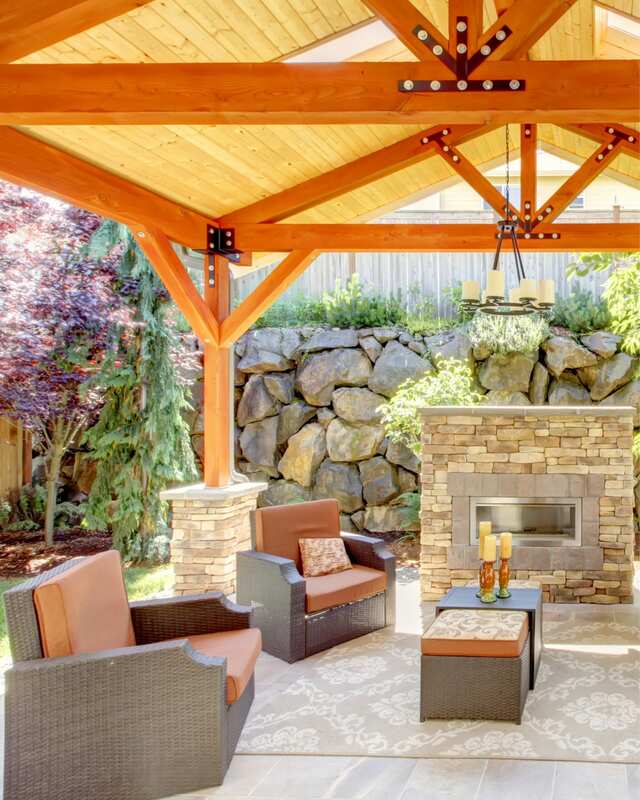 Consider adding a custom outdoor space, such as a covered patio, to your home to accommodate more special moments in 2019. 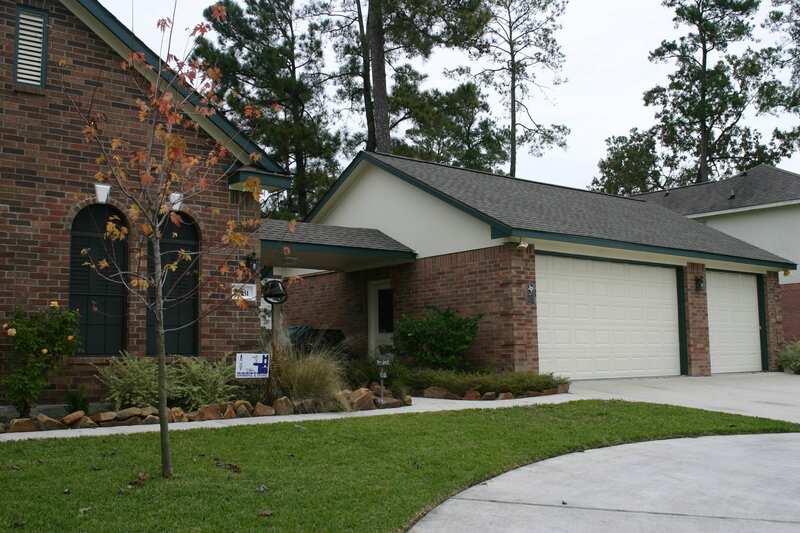 Check out these four benefits to adding a covered patio to your home. When dreaming about your future kitchen, you may begin to feel overwhelmed with the amount of style options, such as the transitional kitchen, to choose from. You may think that you have to choose one specific style, even if that means making sacrifices and giving up some pieces that you think may not follow the rules of the kitchen style you’ve chosen. However, you can and should have everything that you want in a kitchen. There’s a style for that! Your kitchen should be a place you love spending time in. It should be comfortable, convenient, and beautiful. There are many ways to update your kitchen, and some may seem overwhelming but they don't have to be. There are many benefits to updating your kitchen beyond a fresh coat of paint.